Washington (CNN) - Back in 2006, as a Republican governor in a deep blue state, Mitt Romney signed into law a health care plan that would insure almost every resident of Massachusetts. At the time, it was praised by supporters of health care reform as a landmark achievement for the then-governor. The lynchpin of "Romneycare" was an insurance mandate that required the people of Massachusetts to get health insurance. In an interview with CNN in 2009, as Washington was debating President Barack Obama's health care proposal, Romney said portions of the Massachusetts law could serve as a model for the country. "I think there are a number of features in the Massachusetts plan that could inform Washington on ways to improve health care for all Americans," Romney told CNN. "The fact that we were able to get people insured without a government option is a model I think they can learn from." When the president signed his health care plan into law, it no longer had a "public option." But it did have an insurance mandate, something many conservative Tea Party Republicans view as unconstitutional. The insurance mandate in "Romneycare" wasn't a major liability in the governor's first presidential run in 2008 because "Obamacare" wasn't born yet. With Romney now weighing another race for the White House, the former governor is crafting a new defense of his health care law. At a speech before Republican voters in New Hampshire over the weekend, Romney insisted his plan was designed for Massachusetts, not the country. "Our approach was a state plan intended to address problems that were in many ways unique to Massachusetts," Romney said in his weekend address. "Our experiment wasn't perfect. Some things worked. Some didn't. And some things I'd change. One thing I would never do is to usurp the constitutional power of states with a one-size-fits-all federal takeover." But in that 2009 interview, Romney clearly defended the mandate, referring to it as a "requirement" that allowed Massachusetts residents to secure a "tax exemption." In other words, if they didn't sign up for health insurance, residents would get hit with a tax. "In order to get a tax exemption that you would normally get, you gotta have health insurance because we want everybody in the system. No more free riders. Everybody is part of the plan. And that way, we get the costs down. We let people know that they never have to worry about losing their coverage," Romney said in the interview. Should Romney get the GOP nomination, Democrats hope "Romneycare" will soften opposition among independents and moderate Republicans to the president's health care law. How can you be mad at the president, Democrats will ask, when Romney did the same thing? President Obama previewed the line of attack in a recent speech to the nation's governors who'd like to see some flexibility in implementing health care reform. "In fact, I agree with Mitt Romney, who recently said he's proud of what he accomplished on health care in Massachusetts and supports giving states the power to determine their own health care solutions," Obama said. 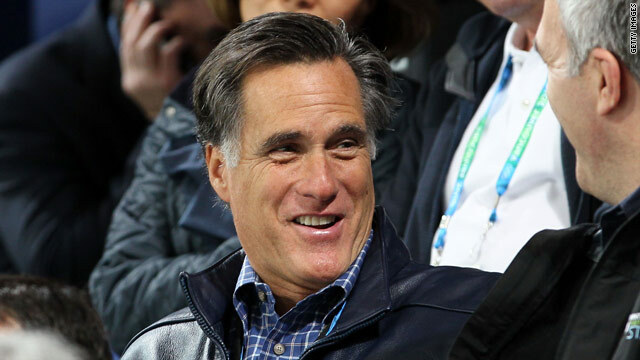 There are signs the issue could dog Romney well into the 2012 primary season, much as Hillary Clinton's vote to authorize the Iraq War hampered her run among some 2008 Democratic voters. In his new book, "A Simple Government," former Arkansas Gov. Mike Huckabee has a one-liner ready to go. "It could be argued that if RomneyCare were a patient, the prognosis would be dismal," Huckabee writes. I guess you could say Romney was for "Obamacare" before he was against it. Isn't that the definition of a flip-flopper? Another chameleon politico, just shed your skin, "refudiate" everything you did and said before, reinvent yourself to mold into the character your right wing covservative extremists want you to be, and come on out! What's funny is that Obamacare is much like the Republican 'alternative' to Hillarycare, which is why Romney felt that it was the plan to push for his state. Republicans know that healthcare had do be dealt with. The sad part is that since they were able to manipulate the people to beleiving that it is wrong.